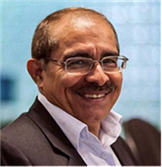 Dr. Hossein Sarrafzadeh is Professor and Head of Department of Computing at Unitec Institute of Technology. He is well linked to the ICT industry both nationally and internationally, and has strong links to the international research and academic community. Leveraging these strong networks with industry, academia, and with government, particularly in the field of IT security and computational intelligence, he has attracted funding to his department and his institution. He understands global IT trends, needs and opportunities and has a firm grasp of the capability in NZ. Dr Sarrafzadeh has developed one of the world's first real-time facial expression and gesture recognition systems. He has also developed a novel vision based targeted advertising system which has been patented in New Zealand and internationally. Dr Sarrafzadeh has led the establishment of New Zealand’s first cyber security centre in partnership with the National Institute of Information and Communications Technology of Japan and has also been instrumental in the founding and development of the Centre for Computational Intelligence for Environmental Engineering and the Internet of Things (in partnership with Wuhan University and LJDY (IT Company), in China and NIWA (NZ)). Professor Sarrafzadeh is known for his work in the areas of intelligent systems, cyber security, IoT, adaptive user interfaces and software engineering. He has developed one of the world’s first real-time facial expression and gesture recognition systems, and also a novel vision based targeted advertising system patented both in New Zealand and internationally. He has published over 140 research papers and supervised over 40 PhD and Masters theses. He is frequently invited as a keynote speaker at international conferences.